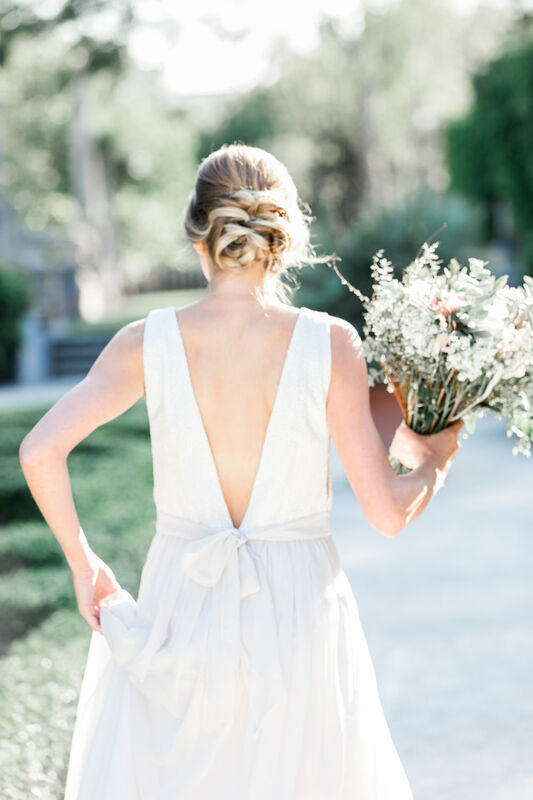 In wedding planning, it’s easy to forget about smaller details like hair care and I don’t mean simply growing it long for an updo. 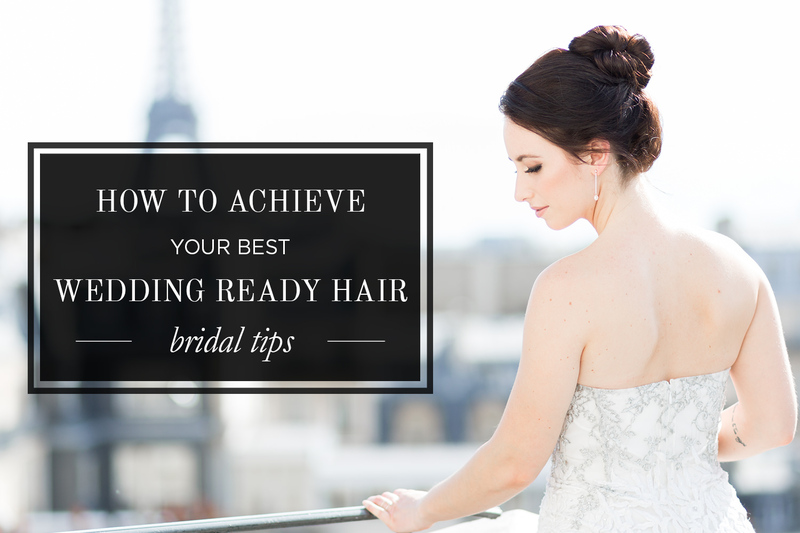 By incorporating these few tips into your routine, you will make great strides toward having absolutely gorgeous wedding ready hair. 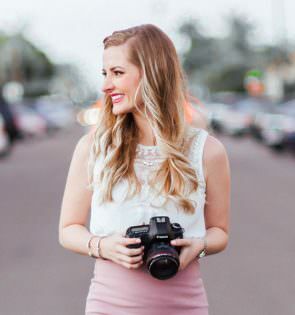 Not only will you feel more confident about your healthier, shinier hair, you’ll also love how beautiful it photographs! High temperatures break down the hair which harms the cuticle, causing split-ends and damage that ultimately weakening your hair. When you allow your hair to air dry, versus high-heat blow-drying, the hair cuticle and core are better preserved. If you have very thick hair, consider letting your hair air dry 75% of the way then dry your hair on the “no heat” setting on your hair dryer. I particularly love this splurge-worthy one from Bio Ionic. By regularly getting haircuts, you’ll have an even hair length and equal layers. If you have damaged hair that’s more prone to split-ends and harm from chemicals, you’ll want to get haircuts every six to eight weeks to maintain healthy hair. Either way, professionally styled haircuts mean easier styling on your wedding day. Just like our maintaining a skincare regimen with moisturizers and masks, healthy hair needs the same attention. Both hair masks and deep-conditioners can strengthen, smooth, de-frizz, or help hair growth. One of my personal favorite hair masks is by Moroccanoil. I always opt for the larger container of either the restorative or hydrating mask to last the longest. I do also love Olaplex in the weeks after I color my hair, as well as Kerastase if I’m looking to change things up from Moroccanoil. Washing your hair too often strips the hair of its natural oils, weakening and drying out your hair. Shampoo removes everything from your hair such as dirt and sweat, as well as your natural minerals and oils. Conditioner gives your hair back those essential minerals and strengthens it with added vitamins. Erin of Unveiled Bridal Beauty mentioned, “People are also under the impression that dirty hair is better for styling. In my personal opinion, clean hair is best. 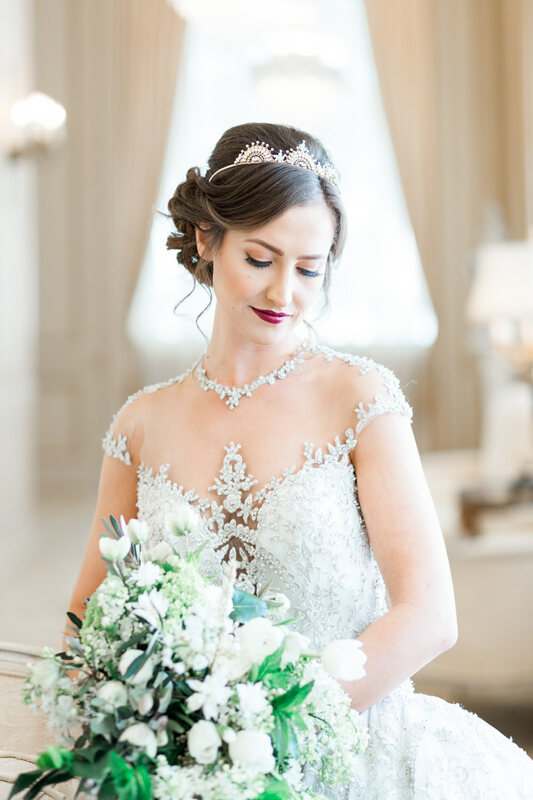 I can always add product to get the texture I want, but there’s nothing I can do to make it look good if the hair is too dirty.” While most people assume that their wedding hair stylist prefers dirty hair to style, it’s best to actually ask your stylist how you should prep your hair for the morning of the wedding. 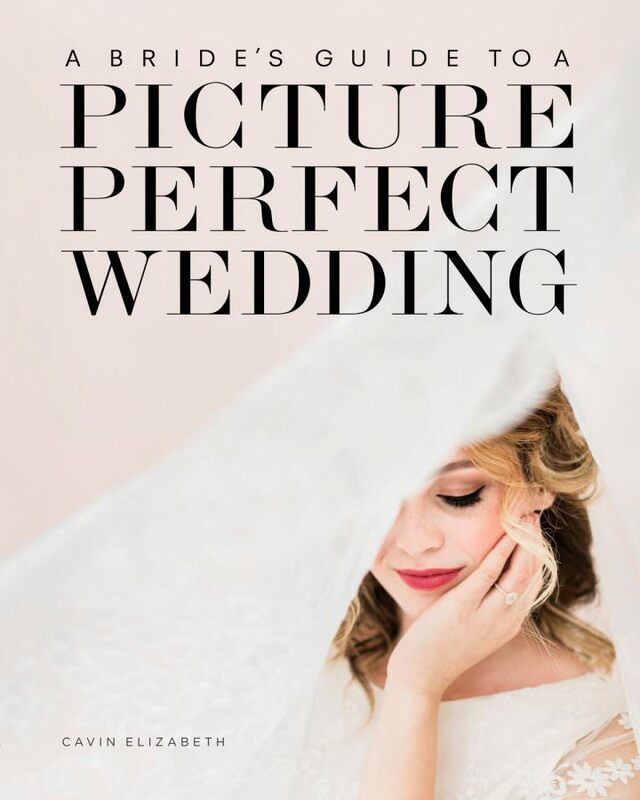 Ultimately, the best wedding ready hair is healthy hair you’ve taken great care of, which will help your day-of hairstylist create a gorgeous, natural, and flawless wedding day hair that photographs beautifully! 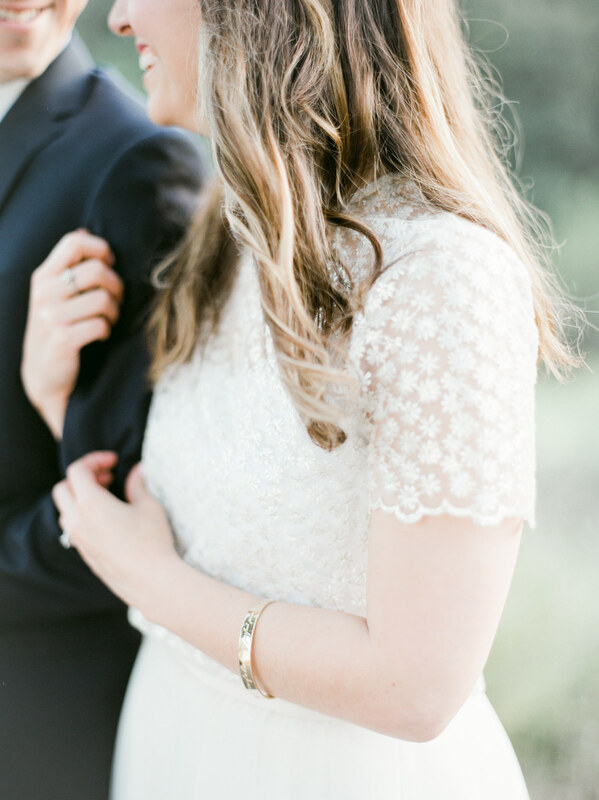 Past bride and stylist Michelle says, “Hair is a fabric. You wear it every single day. Yet your dry cleaning (that you wear occasionally) gets better treatment than your hair.” Be sure to be kind to your hair and it will be kind to you!